At the end of this year, I would like to thank all of you, without whom Numista would be nothing. For 2012, I wish you to continue to build a collection even richer, more beautiful and more interesting, and to find the gem you are missing. 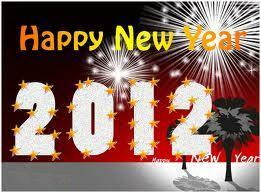 Best wishes, and let's live a wonderful year 2012 together! ..and thank you for making this totally fantastic site. Happy New Year! Thanks for all you do! I would like to thank all those who contribute in one way or another to maintain the site, learned a lot and still learn every day with you, to colleagues who have the opportunity to make swaps for 110 worldwide in 2011, by almost 3500 coins for my collection that obtained in this way, my heart thank you for the patience, politeness, courtesy by which I was always treated. That God will enable us to do all that many, many swaps this year again, and that NUMISTA remains a world reference site for all collectors. Many thanks from my heart. Je tiens à remercier tous ceux qui contribuent d'une manière ou d'une autre pour maintenir le site, beaucoup appris et apprennent encore tous les jours avec vous, à vos collègues qui ont la possibilité de faire des swaps pour 110 dans le monde entier en 2011, de près de 3500 pièces pour ma collection qui a obtenu de cette façon, mon cœur vous remercier pour la patience, la politesse, la courtoisie à laquelle j'ai toujours été traitée. Que Dieu nous permettra de faire tout ce que beaucoup, les swaps de nombreux cette année encore, et que Numista reste un site de référence mondial pour tous les collectionneurs. Me gustaría agradecer a todos aquellos que contribuyen de una manera u otra para mantener el sitio, aprendí mucho y sigue aprendiendo cada día con usted, a los colegas que tienen la oportunidad de hacer swaps de 110 en todo el mundo en 2011, en casi 3.500 monedas de mi colección de la que se obtiene de esta manera, mi corazón gracias por la paciencia, la amabilidad, la cortesía por la que me trataron siempre. Que Dios nos permitirá hacer todo lo que los swaps de muchos, muchos de nuevo este año, y que NUMISTA sigue siendo un sitio de referencia mundial para todos los coleccionistas. Very Happy New Year to Xavier and all the members of Numista. Credit for bringing together collectors from every nook and corner of the world, and putting them at one place, goes to Xavier. In coin swaps with friends from far lands, reward their trust in you with your highest level of honesty and integrity. God will give you much more than what is in your destiny. Wishes to all the collectors, this site has surely helped me track a lot of coins in a systematic one and the knowledge shared has been great with others. I give this comment on 2012.2012 which will be remembered and cherished. Hello every body my name is Osama i am from libya and collecting , Bi-Metallic coins, Commemorative banknotes, i have many friends from all over the world i would like to collect Commemorative banknotes Bi-Metallic coins from every country in the world. Now is New Year in the world, that all his accomplishments become reality, we can be better men, that our seeds to propagate the world, that God be present in your home and welcome your family, there is peace in the world, we are equally, without hunger, without war, brotherhood of man, finally we can be even better in 2013, that God our Father, let us several swaps in this coming year, our friendship is stronger. Big kiss to you my friend and her family!